Welcome to Iceland! 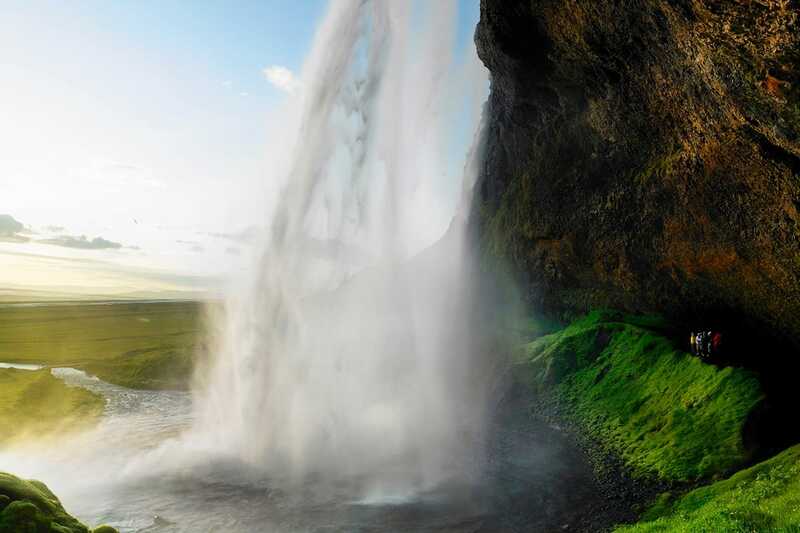 Looking for the basics on Iceland before your visit? Here are a few essentials about our North Atlantic paradise. We call it the Ring Road because it is shaped like a ring around the whole island. 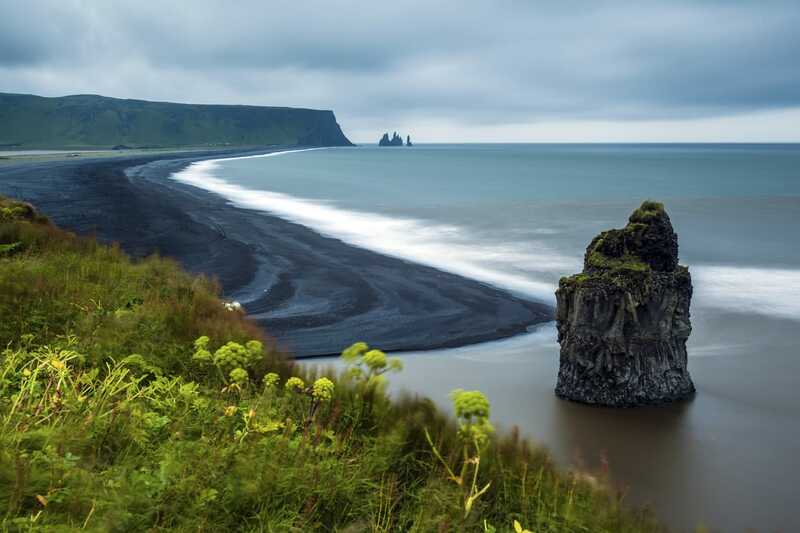 Many people like to follow this route when they want to see a lot of the country, but don’t forget to venture off on other roads so you can explore areas like the Westfjords, Snæfellsnes Peninsula and Reykjanes. 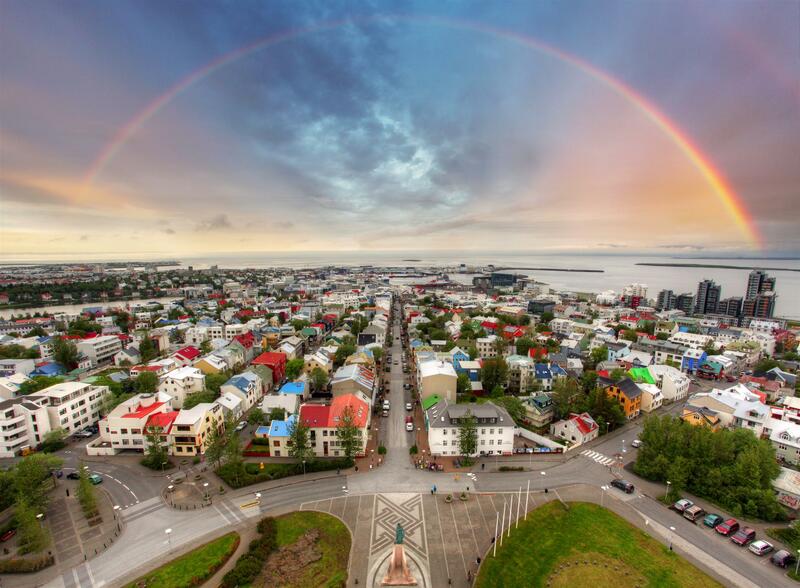 The name of Iceland’s capital, Reykjavík, means “smoky bay.” About two-thirds of our population of 350,000 live in the Capital Region. The national language is Icelandic, and while you’ll have no problem getting by using English, we’re grateful anytime a visitor tries to use góðan daginn (good day) or takk (thank you). Thanks to the Gulf Stream, winter temperatures are milder here than you’ll find in New York or Toronto. When the thermometer creeps above 68°F (20°C) in summer, Icelanders bask in the sun at cafés and beaches. You probably already know that Iceland is a volcanic land. We also have many glaciers and countless other natural wonders. Remember to stay safe on your travels and check out safetravel.is before you go. There’s no need to buy bottled water when you’re here. What comes out of the tap is pure, clean, tasty—and free. You may notice the hot water has a slightly sulfurous smell, but it’s plentiful; we even use it to heat our homes! It does not get as cold in winter as you might think, but nevertheless our weather can be quite unpredictable. Bring lots of clothes to wear in layers—even in summer— and a good quality windproof jacket. Most importantly, don’t forget your bathing suit! Visiting our thermal pools is a highlight of most trips (though you can always rent a suit if you forget yours). There aren’t a lot of trees in Iceland. It can be windy here. Remember to hold your car door when you open it. Trust us; your rental company will thank you. Electricity in Iceland is 220 volts, the same as in Europe. If you bring electronics from the US or Canada, you’ll need an adapter for both plugs and current. Iceland is a wired society, and you’ll find Internet hotspots almost everywhere. Many of you will be visiting our country to enjoy our unique nature, of which we are very proud. Please remember, though, that Iceland’s delicate landscapes can take decades, or even centuries, to recover from misuse. Please don’t collect stones, tread on or pick up sensitive moss, or drive off road—even in what may appear to be barren, sandy territory. Speaking of our landscapes, you’ll notice that there aren’t many signs, fences or other barriers around our natural wonders. We trust your common sense. So when you see or hear a warning, please heed it: Do not step over ropes that are blocking an area. Hot springs can be dangerously hot. Rocks near waterfalls can be slippery. And the sea can be deceptively calm. Follow local advice. Photographers love Iceland for its incredible, ever-changing light. It never gets fully dark between about mid-May and early August, while in December a muted light shines over the island for a few short hours each day.